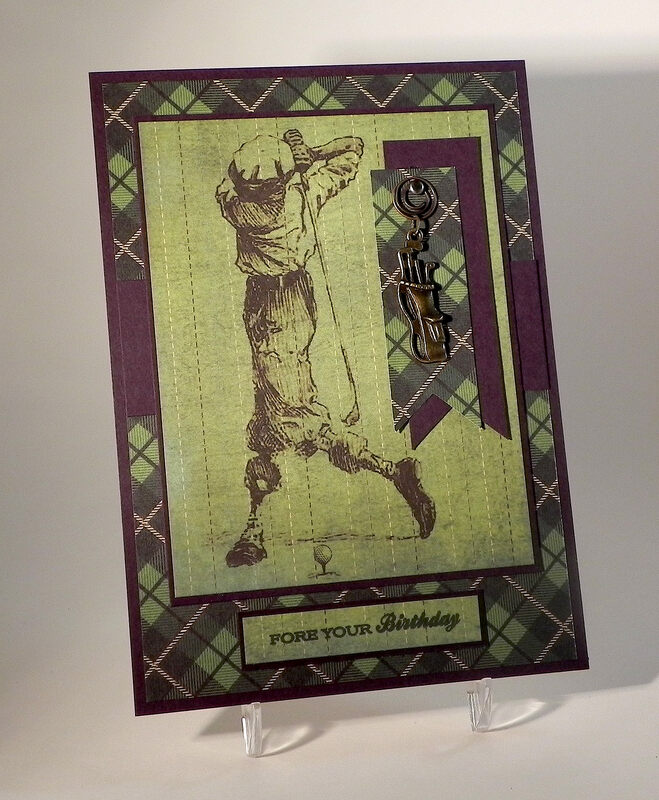 Fore Your Birthday – Golf Themed Birthday Card | I Played With Paper Today! One of the things I really enjoy is browsing at designer scrapbook paper. There are so many gorgeous patterns and prints available. There was a scrapbook supply store called “Scrap and Beads” in Burlington, NJ that I visited every now and again, but unfortunately, the store is no longer in business. The store was filled with gorgeous paper that you don’t see in the big box stores near me. On one of my visits, I found an amazing sheet of golf paper that I used to make this birthday card. My card base (5×7) and mats are Gina K Edible Eggplant card stock. 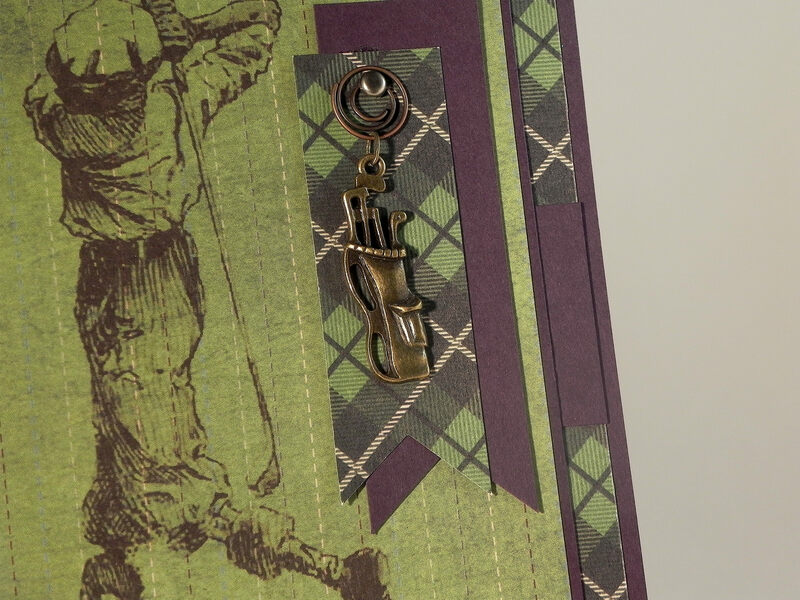 The designer paper with the golfer image is called “Hole in One” (H10-1295) from the “Tee Off” collection by Moxie. I also used some “Celtic Plaid” from the “Sham Rock Collection” by Reminisce. The greeting is from the “On The Links” stamp set by Papertrey Ink, and the inside stamp, Wishing Good Things, is by Hero Arts. Both were stamped with Gina K Edible Eggplant ink. The golf bag charm was purchased online at AliExpress (HERE) and was attached with a circular clip and brad from my stash. « I’m Loving This Scoring Stylus – with my scoring board. This is so cool. I like that pattern paper. It is perfect. Pingback: Holiday Boutique at Rolling Green Golf Club | I Played With Paper Today!